Ahhhhh summer. Homeschoolers don’t traditionally celebrate summer like those in a more traditional school setting, but I have to tell you that we are excited about summer in our house! 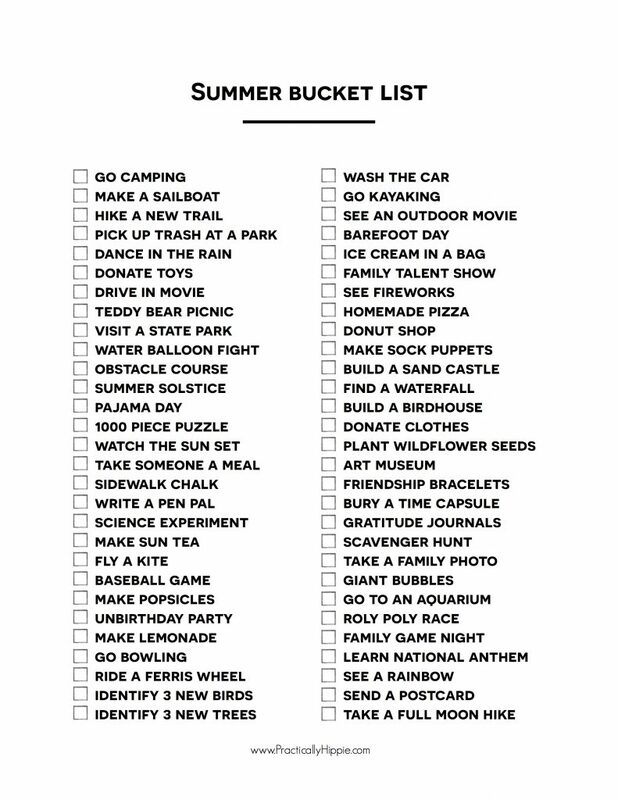 A summer bucket list is a fun way to make connections, create memories, and have fun! We just completed first grade with my oldest, and she worked incredibly hard this year. She did so well with her lessons and exams, and took off reading this year. My preschooler isn’t doing formal lessons yet, but he did join in on our morning time and began learning the alphabet. All of that hard word and dedication deserves a good summer break filled with fun and memories! Why do a bucket list? We’ve been making bucket lists for a few years now. We often do them monthly and sometimes seasonally. I look at our bucket list as a tool to help us grow and ensure that we’re always working toward our family mission. I could tell you everything on our bucket list and why it’s so great, but what really matters is what’s on YOUR bucket list. Every family is different. Your family’s interest and goals and challenges will be different than my family’s and that’s why every bucket list will be unique. By brainstorming ideas in each of our categories, we came up with a long list as a family that I narrowed down. 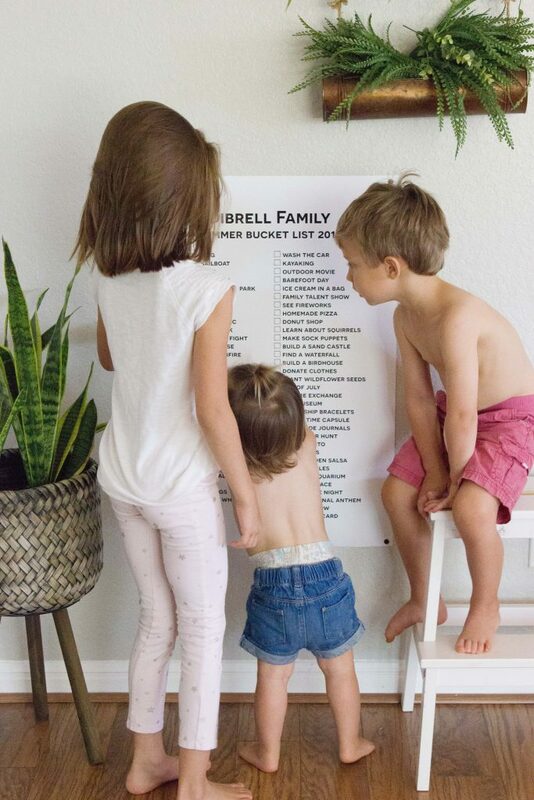 What we ended up with is a collection of ways that our family will be able to give, grow, create, learn, and most importantly, make memories this summer. What’s on our bucket list? We’re going to give back by donating toys and clothes and picking up trash at a local park. We’ll also cook a meal and take it to a friend in need. We’ll spend time learning about trees and birds and by request, squirrels! We’ll focus on projects we didn’t have time for during the school year like oil painting and sewing bean bags to use during our morning time. I incorporated some fun places to visit like a new state park and a donut shop (my kids have never been to one, but my oldest recently grew out of her wheat allergy). We’ll also try some new things like bowling and flying a kite and kayaking. Texas summers are hot so we’ll be doing some fun indoor activities too. 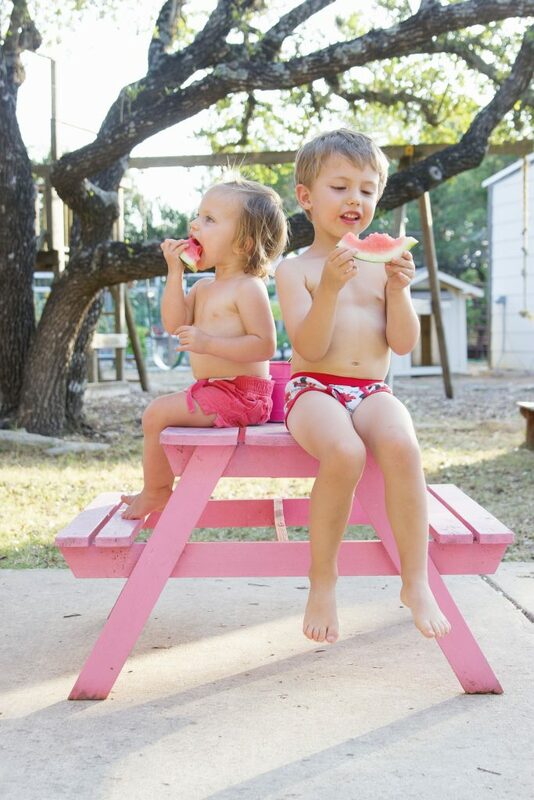 We saved snowballs in our freezer from last winter’s epic snow day to play with this summer. We’ll also make sock puppets and ice cream and work on a 1000-piece puzzle. 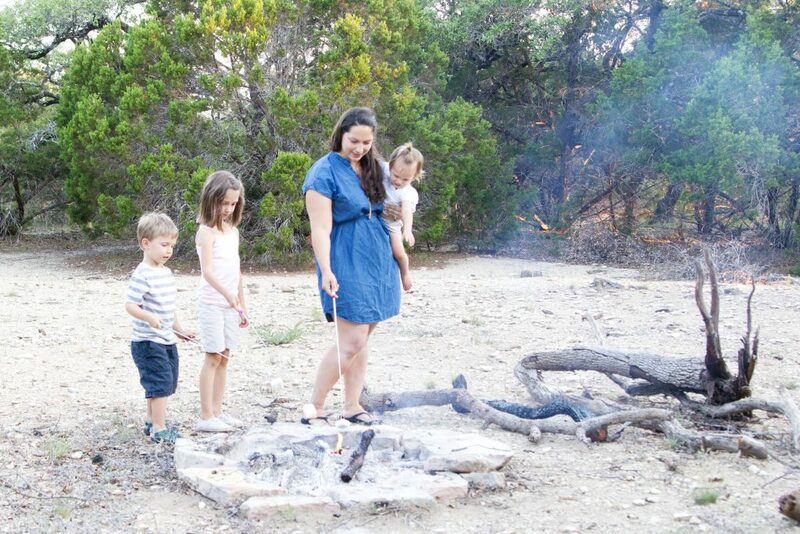 We have some celebrations on our list like our annual midsummer bonfire for the summer solstice and the 4th of July as well as an unbirthday party. We’ll do some random things like have a roly poly race, send a postcard, and wash the car by hand. Family is everything, and my husband misses out on a lot of our fun while he’s at work. I like to incorporate family activities into our list to make sure we do some things all together. We’ll do a family game night and a talent show and be sure to snap a family photo too. I saw this awesome bucket list poster on Instagram and knew I had to blow ours up too. After I spent waaaaay too long trying to format it and got it sent off to print, I realized that McCoy and Co has an Etsy shop where she sells a custom PDF download of her beautiful bucket list! Way easier than doing it myself! 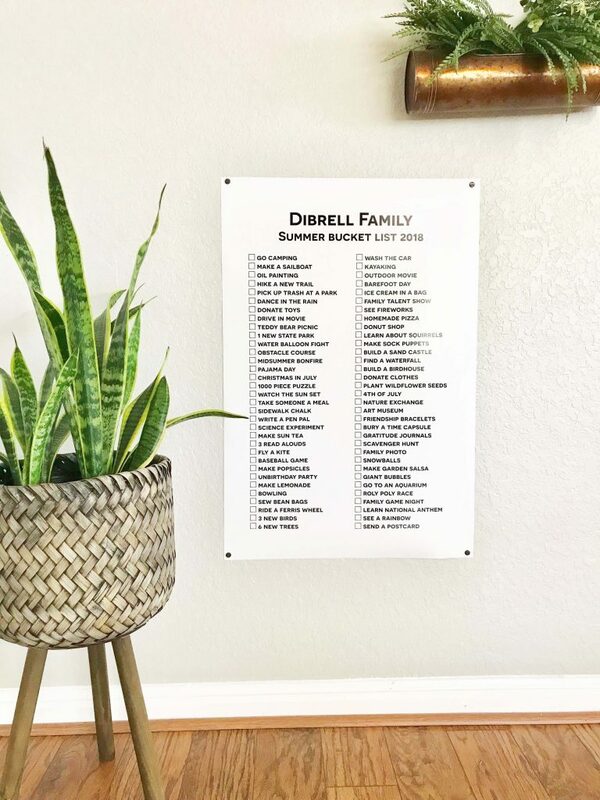 You send 40-50 bucket list items and she creates a customized poster that you can download and print at your favorite photo center. 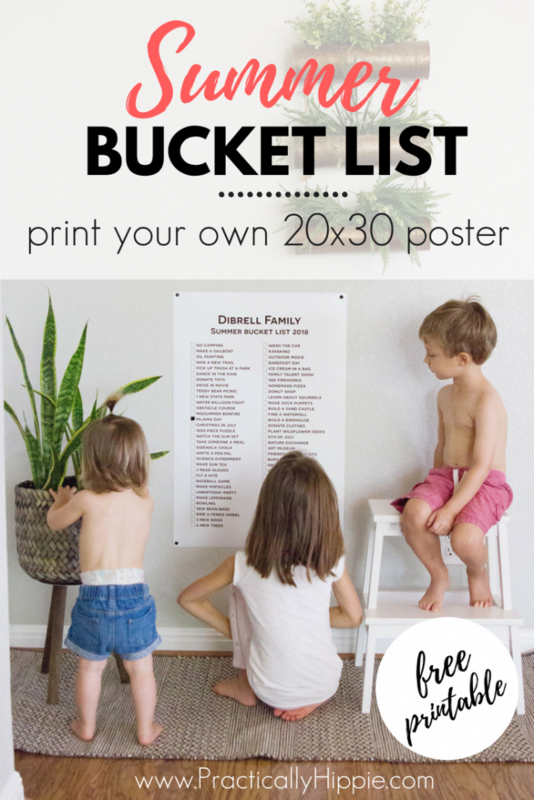 Grab your custom bucket list poster HERE. If you’d rather print your own version like mine, scroll to the bottom of this post to download a zip file with an 8.5×11 PDF print and editable files for Mac and PC to print your own 20×30 poster. Editing and printing instructions are included in the download. I printed my bucket list at Costco for $9.99. The quality is fantastic, and it’s perfect for what we needed. We’ve already marked off a couple of boxes, and I can tell we’re going to have some fun with this. This is a wonderful idea. Sometimes I think that I just have to make things too orderly when we’re working on the basics in our homeschool, but I need to remember for there to be more fun! I’m really excited to do this bucket list for this summer. Thank you! Have fun with it! Thanks for reading!